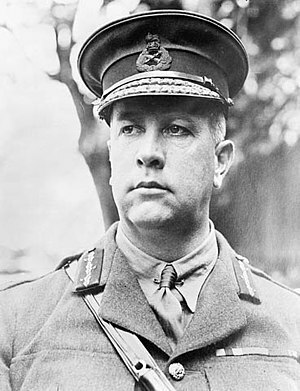 Sir Arthur William Currie was a military leader for Canada in World War I and "is generally considered to be among the most capable commanders of the Western Front, and one of the finest commanders in Canadian military history." Given that Michael Currie and Sir Arthur share the same family name, Michael sometimes is posed the question, are the two related? Michael's great-great-grandfather John Currie arrived in Canada on 8 June 1883 from Scotland. John Corrigan settled in Middlesex, Ontario upon arriving in Canada, and his children and grandchildren mostly remained there. Michael's mother's father's father's family was from that area, so it's possible there is some other connection, but not via the last name. Michael's last name originates from John Currie, a Scot born in Galashiels, Scotland. His family business was operating textile machinery, and so he immigrated to Canada, arriving 8 June 1883, to work the wollen mills of Almonte, Ontario. His youngest son Alex settled in Winnipeg, and Alex's son Jack settled in Thunder Bay. Jack's son Ron remained in Thunder Bay, and had Michael. Because John Corrigan settled in Strathroy-Caradoc, in Middlesex county, it's possible that some of his descendants married into the other side of Michael's family, via William Newman, who also lived in Middlesex. William Newman's wife was Mary Hillier - was she the grandchild of John Corrigan? It seems no. However, it's possible that the Newman and Hillier families interacted with the "Curry" family while they lived in the same rural community of Middlesex in the decades from 1838 to when Currie left for Victoria, BC in May 1894, and when William Newman left for Winnipeg in 1906. 1838 - John and his wife emigrate from Ireland to escape religious strife, and upon their arrival in Canada they had converted from Catholicism and Anglicanism to Methodism, changing the family name from Corrigan to Curry. 1 July 1846 - William Garner Curry born in Ontario. 5 December 1875 - Arthur Curry born in Napperton, Middlesex County, Ontario, to William. 8 June 1883 - John Currie immigrates to Canada. 1889 - Alex Currie born. 22 April 1915 - Germans use poison gas on Currie's troops at Ypres. Following the battle, Currie was promoted to Major-General and given command of the entire First Canadian Division. This page was last edited on 6 April 2019, at 09:30.